Atlantic Canada is changing. Over the past 50 years, we have seen our urban density outpacing rural density. With the immigration of so many young professionals and families to urban centers, municipalities have been under increased pressure to provide funding for important social programs and public spaces while receiving a measly eight cents per general sales tax dollar. In contrast, the federal government receives 50 cents per tax dollar and the province receives 42 cents. With a growing population putting greater demand on public services, municipalities are struggling to maintain the quality of life of their constituents. In the Halifax Regional Municipality, nearly a third of our municipal budget is spent on transportation infrastructure. Although cycling has been identified in HRM documents as a low-cost, positive solution investment, many transportation planners are simply failing to catch up with the changing state of urban living. Where quality of life in the 70’s was defined as being able to get from point A to point B as quickly as possible (a definition with origins in car culture), it is no longer acceptable to use the private automobile for every excursion. Our environment is suffering. Our healthcare system is already spread thin and hemorrhaging money on diseases that are completely preventable through increased physical activity. Once-quiet neighborhoods are being cut in half by arterial road expansion. Our lack of transportation diversity is literally running over our quality of life. Over the past three years, however, the cyclists of Nova Scotia, New Brunswick and PEI have connected with the potential impact cycling may have on our lives. 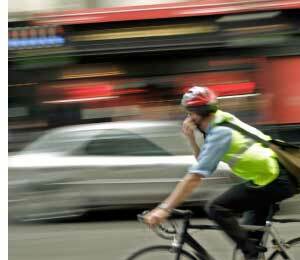 Cycling provides a gigantic protective effect on our health, as many studies have shown. Not only does cycling for 30 minutes to work reduce cardiac and vascular diseases by up to 35%, but new cyclists report better mental health and a profound reduction in weight. Cycling friendly cities such as Vancouver and Victoria are also noticing that congestion is beginning to wane during peak hours as more and more residents are choosing to pick up the helmet instead of a pair of car keys to get to work. Neighborhoods with cycling infrastructure installed (such as bike lanes and boulevards) are also reporting better air quality and reduced crime due to “crime prevention through environmental design.” Citizens also report feeling better about their neighborhoods and the cities in which they live. Investment in cycling infrastructure and culture is growing. Active Transportation infrastructure is increasing across the Atlantic provinces thanks to the dedication of cycling advocacy groups such as Velo New Brunswick, Bikeways Coalition of Nova Scotia and Bicycle Nova Scotia, Cycling Prince Edward Island, Bicycle Newfoundland and Labrador, and the Halifax Cycling Coalition. Without more support for cycling, however, investment will only be an afterthought in the minds of municipal councilors and planners in our region. If you would like your municipality to invest in cycling infrastructure, please write to your district councilors.To encourage more cycling events, please join a recreational or advocacy-based cycling group near you. More than anything, be your own advocate, dust off your old 10-speed and rediscover cycling for yourself! Steve Bedard is a Co-Chair of the Halifax Cycling Coalition. A nursing student, he is a contributor to Spacing Atlantic. OptiMYz Stage "Lessons for the Road"